Here comes the sun! 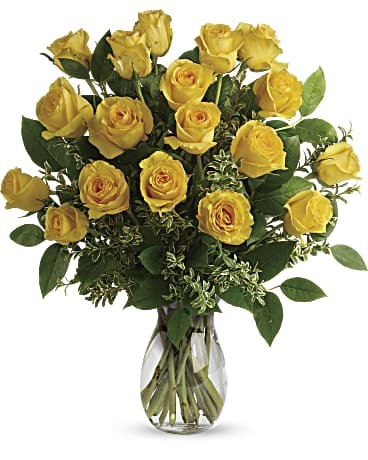 Say hello to a happy day with this grand bouquet of a dozen yellow roses and fresh greens in a graceful glass vase. 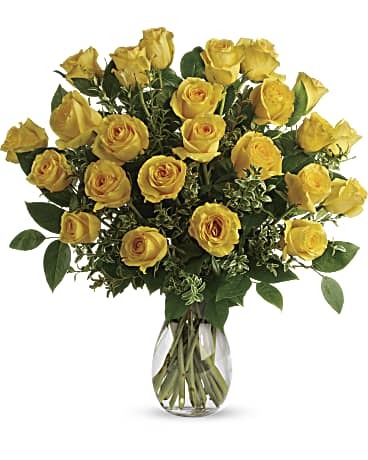 These are typically arranged with baby's breath. 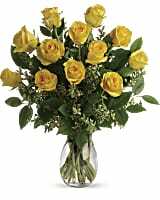 The can also be arranged with lavender filler of just lush greens. Please note your preference in the instruction field!